AUBURN, Ala. – Crapemyrtles are planted at many homes and in gardens across the South. 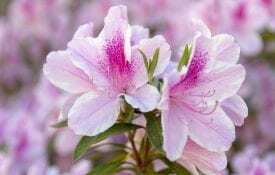 They are a popular choice because of their bright bloom colors of red, white, pink or purple and trunks with sheets of bark in hues of brown and gray. Gardeners know that pruning needs to happen, but often do not know how or when. Sadly, this happens too often with crapemyrtles. Pruning crapemyrtles correctly is essential for these qualities to flourish in the tree. Too many gardeners do not know how to properly prune their crapemyrtles and end up doing what everyone else in the neighborhood is doing. The result— stunting the growth and beauty of the tree. 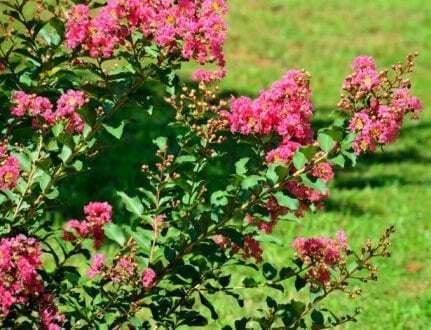 Alabama Extension provides resources to help gardeners grow healthy plants and prune their crapemyrtles correctly. Extension horticulture agents are ready to help with any pruning question sent their way. The right time is late winter, according to Carroll. She says pruning should only be done if the tree is in need of reshaping, if branches are rubbing against each other creating wounds, or parts of the tree are dead or diseased. In the case that there is dead or diseased wood, the limbs can be pruned at any time of year. Crapemyrtles come in all different sizes ranging from 4 feet to 40 feet. A common mistake made by gardeners is planting large crapemyrtles in flower beds. A pruning saw is the best tool for pruning any branches more than 2 inches in diameter. 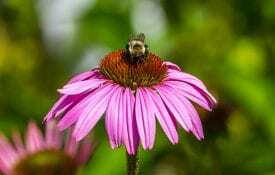 Have a gardening question? 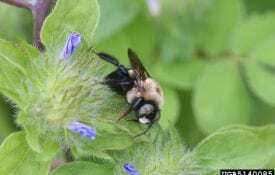 Call the Master Gardener helpline. To reach the help line, dial 1-877-252-GROW (4769). There is still hope for stopping crape murder. Now is the time to correct past hurts done to crapemyrtles and prune them for what they have to offer. This year, prune with a purpose and don’t take a chain saw to your beautiful tree.